What’s the Most Dangerous Game in Casinos? If you thought losing your bankroll was the biggest hazard to avoid in a casino, you’ve obviously never considered the dangers of a runaway roulette ball. On Wednesday, news broke of a recently filed lawsuit against the Maryland Live! Casino in Hanover, Maryland that highlighted the unusual issue. According to the suit, a man says he was injured when a runaway roulette ball escaped the wheel and hit him directly in the eye. The man stated that during the time in question, December 13, 2013, a casino employee was operating the roulette wheel negligently, allowing the ball to become airborne following the initiation of a spin. This negligence allegedly led to the ball escaping the wheel and striking the man just above the left eye at high velocity. Following the incident, the man states that he was taken to a private room at the casino where another employee squeezed eye drops into his eye without consent. This caused the man to become disoriented, eventually hitting is head against a wooden door and being knocked unconscious. After these events, the man was transported to an emergency room where he was treated for a concussion resulting from the fall and a contusion from the roulette ball incident. In the lawsuit, the man is suing the casino for two counts of negligence and battery, seeking compensation of $150,000 on each count. Although the suit was originally filed last November, the case is back in the news because of a recent court decision to deny a motion by the casino’s operator, Cordish Companies, to dismiss the lawsuit. Originally, Cordish Companies argued that it did not actually operate the casino, but its website indicates that it is both the owner and operator. Additionally, the company challenged the jurisdiction of the D.C. court in ruling on the case, but the casino’s advertising efforts in the nation’s capital made that appeal invalid as well. 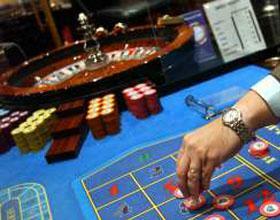 Cordish Companies, as well as the casino and PPE Casino Resorts Maryland, LLC, remain named in the suit. With the dangers of the roulette ball finally coming to light, we at Palace of Chance took a quick survey of the other games that could present problems to unlucky gamblers. Consider, for example, an errant toss of the dice at the craps table or a malfunctioning ball dispenser in the bingo hall. Luckily, these results are purely hypothetical to this point, as the case of the runaway roulette ball remains an isolated incident. If a new found fear of roulette balls has you feeling nervous about your next casino visit, now’s the perfect time to translate your gaming to the web with Palace of Chance. Here, there’s never a danger of concussion from malfunctioning equipment or negligent casino employees. Instead, online play allows you to return your focus to the most important part of any gambling experience: winning! Go ahead, take off your safety glasses and load up your favorite game. With so many chances to win, you’ll be ready for a celebration in no time!